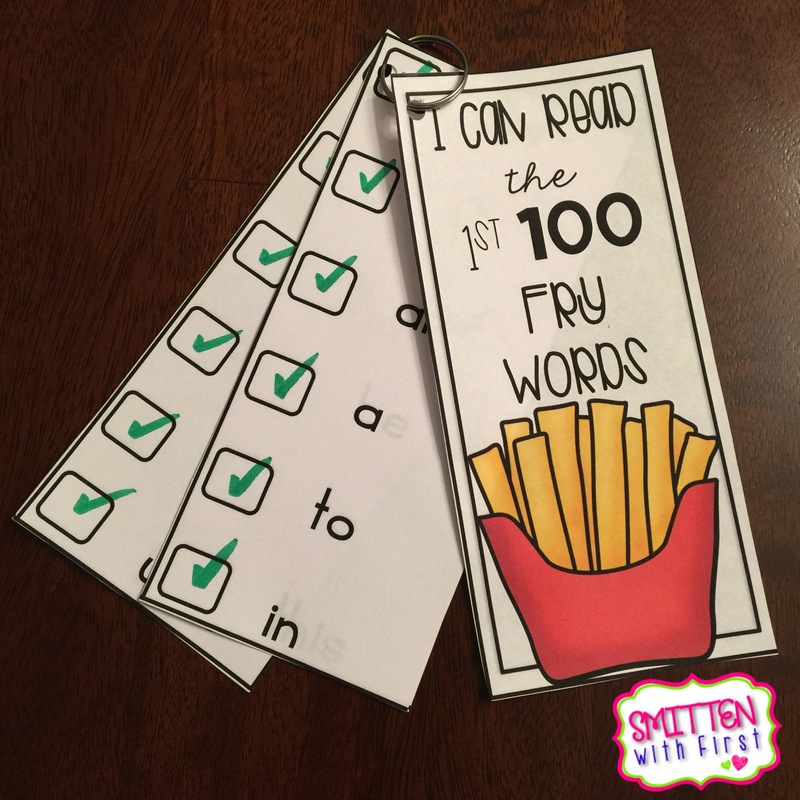 Blog Hoppin': Frying Up Fry Words! Hey y'all. It's Michelle Hudgeons from Smitten With First. 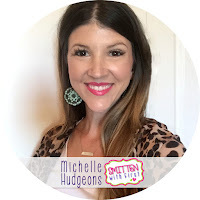 I don't know about y'all, but I am always trying to brainstorm ways to get my students motivated and excited about increasing their sight word fluency. I have been trying something new this year with my class that I wanted to share with you all. My district uses Fry's sight words. 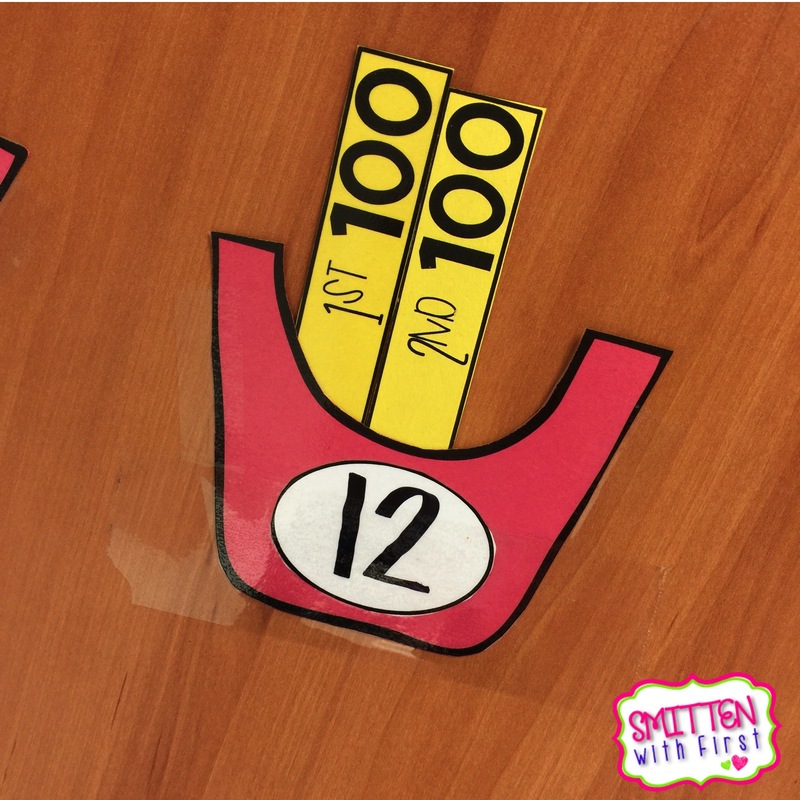 Each grade level is given a particular set to assess each student on. Our goal is that each child will have all or most of their grade's words mastered before the end of the year. 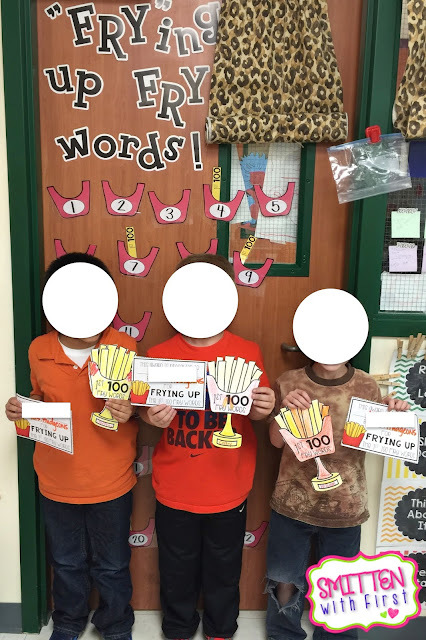 To get my students motivated to reach this goal we have been FRYING UP our FRY WORDS. I have several students that want to read as many Fry words as they can, and I am all for that! Each student starts the year off with the 1st 100 words. The words are kept on a word ring inside their reading folder and practiced at home for homework as well as during our guided reading time. Once my students have mastered a word, they receive a checkmark or sticker. 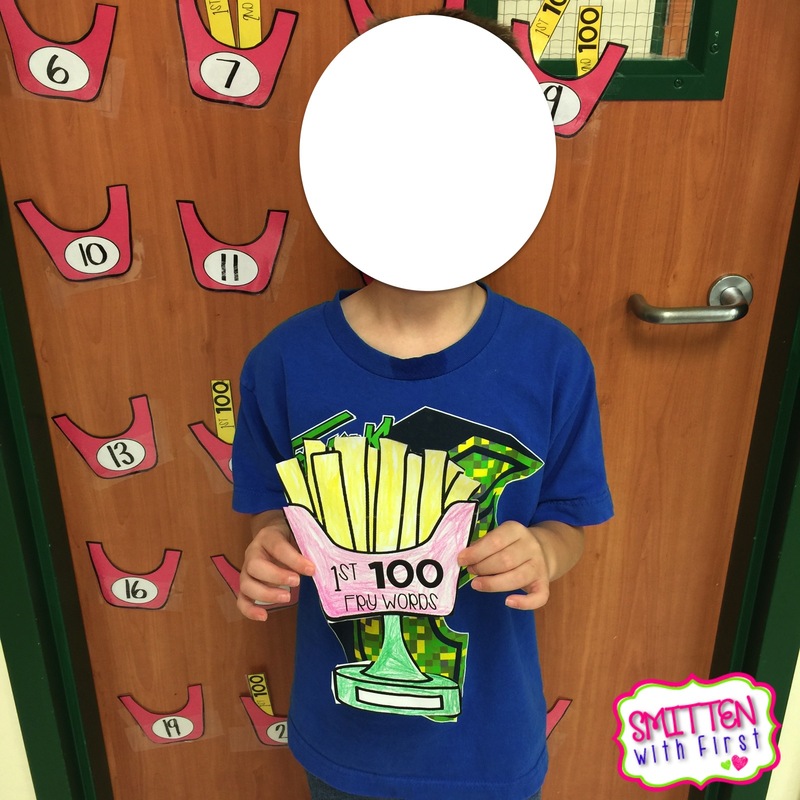 After they have mastered all 100 words, they get to add a french-fry to their fry basket. They also get a certificate, trophy, and ribbon to celebrate their huge success! They love getting their picture taken with all their rewards! Once they have one set of words mastered, I send home the next set. I love hearing the encouragement that they give to one another to add another fry in their basket. You can read more about Frying Up Fry Words here.